You can watch 'Music Bank' live every week through not just�YouTube, but a new option! KBS World will now be live streaming 'Music Bank' every FRIDAY at 5 PM (KST) through Twitter. Twitter has teamed up with South Korea's largest broadcaster, KBS! Popular national Korean music program, 'Music Bank' will stream live weekly through Twitter every Friday from 17:00 to 18:30 KST (03:00 to 04:30 EST) starting on November 10, 2017. For the first KBS 'Music Bank' live stream on Twitter this Friday, the exciting artist line-up includes K-pop performances of Super Junior, TWICE, Monsta X, Seventeen, ASTRO, and much more! 'Music Bank' will be available for logged-in and logged-out users on Twitter and connected devices globally. Fans will be able to watch the free live stream at KBS.twitter.com as well as through Music Bank's official account (@KBSWorldTV) on Twitter. 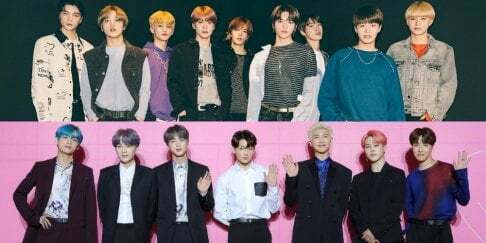 Through this global live streaming partnership between Twitter and KBS World TV, millions of K-pop fans on Twitter will now be able to watch popular K-pop groups live from the 'Music Bank' stage. Bringing even more exclusive real-time content onto Twitter. Commenting on the partnership with Twitter, Director of KBS World TV, Yong Hun Choi shared, "The number of overseas K-pop fans who are eager to watch Music Bank in real time is increasing. We decided to partner with Twitter as they are an active global live streaming platform with a strong K-pop fan community, and we look forward to expanding on K-pop fans and be able to reach them worldwide through this partnership." Global Contents Partnerships Lead of Twitter Korea, Yeon Jeong Kim said, "Global Live Partnership between KBS World and Twitter will provide opportunities for global users to enjoy K-POP live contents and also provide advertisers with live marketing opportunities to communicate with users in real time."